As with any successful fighter, you need solid, influential leaders, and that’s exactly what Carmouche found in San Diego, California. 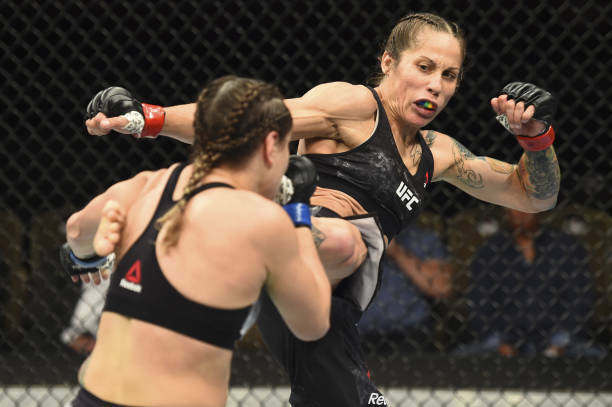 “I credit Manolo Hernandez and Bill Crawford for giving me the opportunity in fighting and believing in me when I didn’t even believe in myself,” Carmouche stated. The trio currently coach at San Diego Combat Academy in San Diego, CA. SDCA was recently named the 2018 10th Planet School of the year for the fourth year in a row. Hernandez is often seen in the corner of other top tier women’s fighters such as Bellator flyweight champion Ilima-Lei MacFarlane and Pearl Gonzalez who is set to compete for the Invicta FC women’s flyweight title at Invicta FC 34 in February 2019.